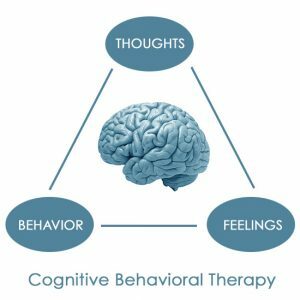 Cognitive behavioural therapy (CBT) is a talking session or therapy that helps you address your thinking and behavioural issues. It’s mostly used in the treatment of anxiety and depression, as well as other mental and physical health problems. Such as obsessive-compulsive disorder (OCD), panic disorder, post-traumatic stress disorder (PTSD), phobia, eating disorder, insomnia, and alcohol misuse. It has been used in place of medication for these illnesses and it has shown adequate effectiveness. CBT is delivered in different ways, such as being included in a group or groups, and getting a self-help book. A typical CBT session is a once a week session or sometimes once in two weeks. It may require that a patient takes a 30-60 minutes session, since recovery may last from 5-20 sessions. The patient is expected to play a part and work with the therapist. The patient must be committed and cooperate with the therapist. This will help the therapist break down the issues, analyse them and determine the effect of each of the issues on patients and help them get rid of unusual thoughts and behaviours. They are expected to apply the skills they acquire from the session to their daily lives thereby helping them manage their problems. Also during the session, people can learn useful and practical strategies that can be used every other day. If you are a CBT patient, you must prepare yourself for changes, deal with your emotions and get rid of your anxiety. The thoughts, and feelings, as well as actions, are all interwoven and the CBT will affect and change the way you think, feel and behave. However, it only addresses current problems and focuses on specific issues, and does not exactly address the primary causes of the health conditions, whether mental or physical. The good thing about it is that your state of mind will be improved using practical methods.